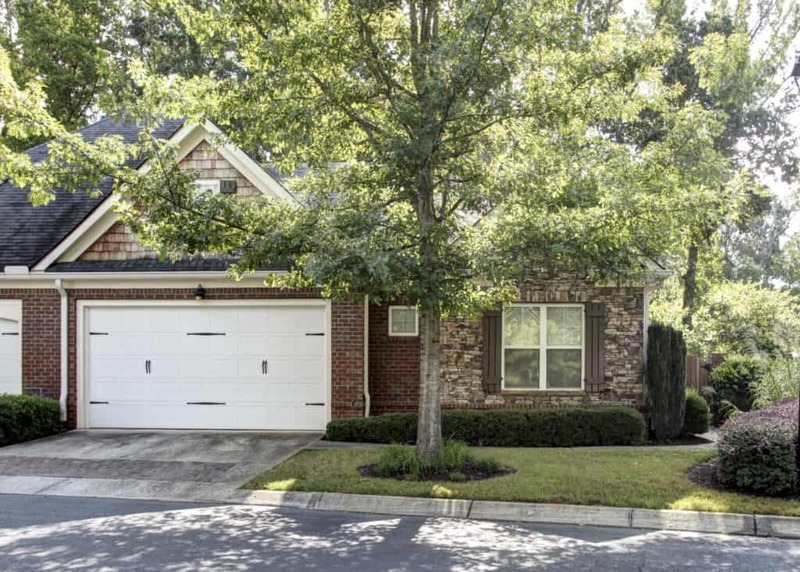 Just Listed :: Beautiful Townhome in Alpharetta! Welcome home! Nestled on a quiet street in the wonderful Seasons at Creekside community, this gorgeous property is just what you’ve been looking for. The flowing floor plan, custom features, and charming character will never go out of style. You will love being close to everything with easy access to the highways, byways, shopping, and restaurants surrounding this incredibly desirable area. Highly sought after schools include Crabapple Crossing Elementary, Northwestern Middle, and Milton High! Beautiful kitchen features granite countertops, stainless steel appliances, tile backsplash, pantry, and breakfast bar. Living room boasts a vaulted ceiling and cozy gas fireplace. Formal dining room with trey ceiling is perfect for entertaining guests or hosting holiday gatherings. Private study features built-ins and a coffered ceiling. Main level master suite is a true retreat including a trey ceiling, large walk-in closet, and a spa-like master bath with a double vanity, jetted tub, and separate shower. Additional bedrooms and bathrooms are well-sized and bright. The lower level provides additional living and lounging space including a media room, office/playroom, bedroom, full bathroom, and kitchenette. Spacious bonus room is ideal for a potential 4th bedroom, playroom, or home office. Wonderful outdoor space includes two levels of decks backing up to a wildlife preserve as well as a large side courtyard with beautiful landscaping. Two car garage easily fits vehicles and offers extra storage. Community features a well-maintained pool. Great location convenient to interstates, restaurants, and shopping.